You made the move to a brand new place. Nice! Maybe you got a new job, or you’re starting another year of college, or maybe you just relocated for the sake of trying somewhere new. Chances are you spent a lot of time looking at different apartments, online or in person. Where can I get the best price for the location I want? How much will utilities be? This one’s perfect, but it’s three-bedroom – where can I find a third roommate?! But that’s all behind you now. You found it, the perfect place! And maybe it’s not totally perfect (who doesn’t love a fixer-upper? ), but you’re willing and eager to embrace it as your new home. 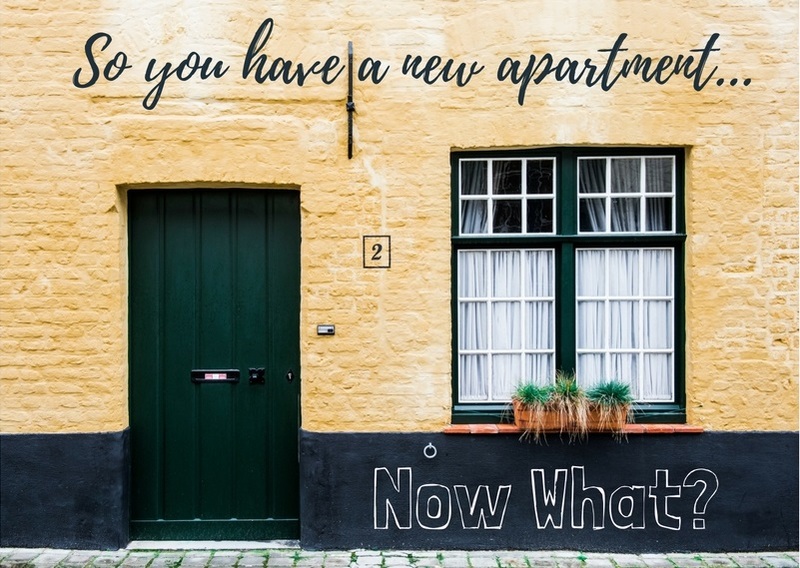 So with the stress of vigorous apartment hunting behind you, what’s next on your to-do list? Maybe you are coming to the new town with a truckload of all your belongings—a bed, pots and pans, rugs, childhood paraphernalia: you name it, it’s in the UHaul. But if this isn’t the case, here are some tips for furnishing your apartment stylishly and economically. Take advantage of people near you selling their furniture! Apps like OfferUp and sites like Craigslist show new furniture sales extremely frequently, and if you do it right you can get great deals and convenient pick-ups or drop-offs. Get creative and DIY! Peruse Pinterest for ways to take what you already have or can find for next to nothing and make it a great, useful piece. Take the afternoon and hone in on your artsy skills. Rent furniture! Sites like cort.com and rentfurniture.com will allow you to rent furniture from them. They bring it to you and take it away when you move out. This is a great option if you’re only looking to live somewhere for a year or two. If you’re like me, one of the most exciting parts about moving into a new place is the empty walls, open floor, and tabletops just asking for flowers or lamps to be placed artfully on them. Here are some tips for creating a cozy environment to make your new apartment feel like home. Curtains and rugs are simple things that will make an empty space seem more warm and welcoming. In the bedrooms and living room they can be the key items that tie the room together. Have a bunch of pictures or pieces of art you want to hang up, but your landlord said you can’t put holes in the wall? Thankfully, Command Hooks exist—they’re great for hanging frames and cause no damage to the walls when you remove them! Reuse everyday items! Used jam jars can make lovely flower vases, empty spice tins can hold pens and pencils, and any old furniture can be repainted or refurbished to match your look. Again, get creative and DIY! This stuff is maybe not quite as fun, but needs to be done in order to live safely and comfortably at your new home! Trust me, it’s all worth it. Call to set up Internet/cable and electricity as soon as possible—it’s definitely not worth it to wait! Along with this, set up a system with your roommates to organize payments sooner rather than later. You would hate to miss a payment because no one remembered that month. Check every aspect of your apartment to make sure it works properly – it’s obviously important to have door locks that work, but also make sure your windows will completely close to save heat in the winter, your curtains and bed spread aren’t touching a radiator or heating unit, and your faucet doesn’t drip. These will save you money on utilities and prevent future escalations of the problems. Invest in renter’s insurance. Protect your belongings from theft or fire by paying a small amount each month to insure your apartment. Totally worth it to avoid having to pay thousands of dollars to replace your laptop, TV, bicycle, etc. You can find out how much coverage you need based on your belongings by clicking here. Having a new apartment is a very exciting turn in your life. Make sure it’s a good one by minimizing risks and maximizing the space for all it’s good for! Think creatively and you can make your new place feel like home easily.